We held a fabulous event in partnership with House of Kooser last night at the glorious Cheval Three Quays! We had sparkling wine, great conversation and delicious nibbles courtesy of John Gregory-Smith! 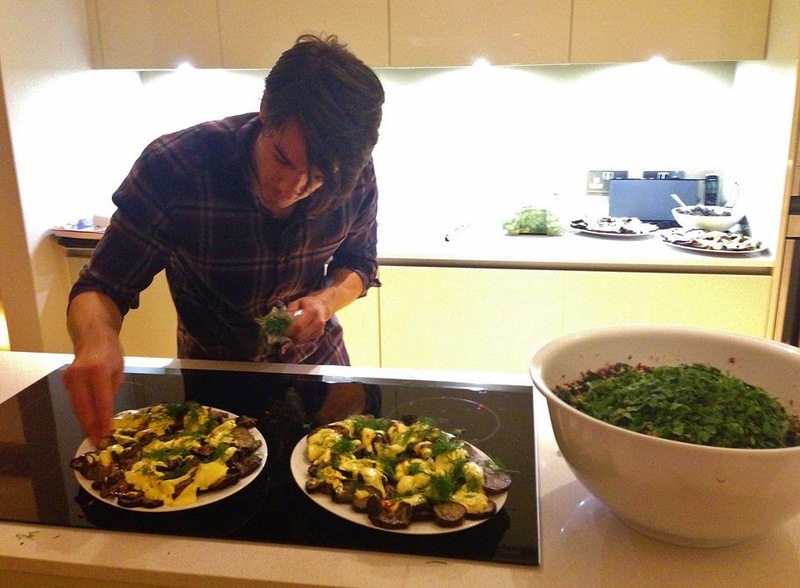 John is a fabulous globetrotting chef inspired by the discovery of new dishes from the far corners of the globe. 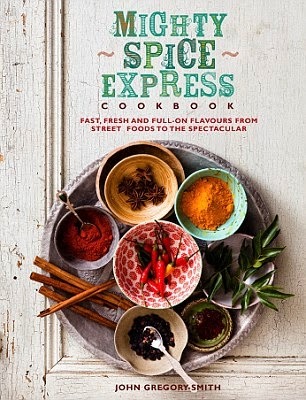 Get that Friday feeling with this wonderfully spiced burger straight from John’s fantastic new book ‘Mighty Spice Express’. Available now at all good bookshops. Divide the beef mixture into 2 portions and flatten each one into a burger. Push your thumb into the top of each burger to create a little indent, which will help the burgers to cook evenly. Heat the oil in a frying pan over a high heat and add the burgers, indented side facing up. Cook for 4 minutes, then turn the burgers over, reduce the heat to medium-low and cook for another 3 minutes. 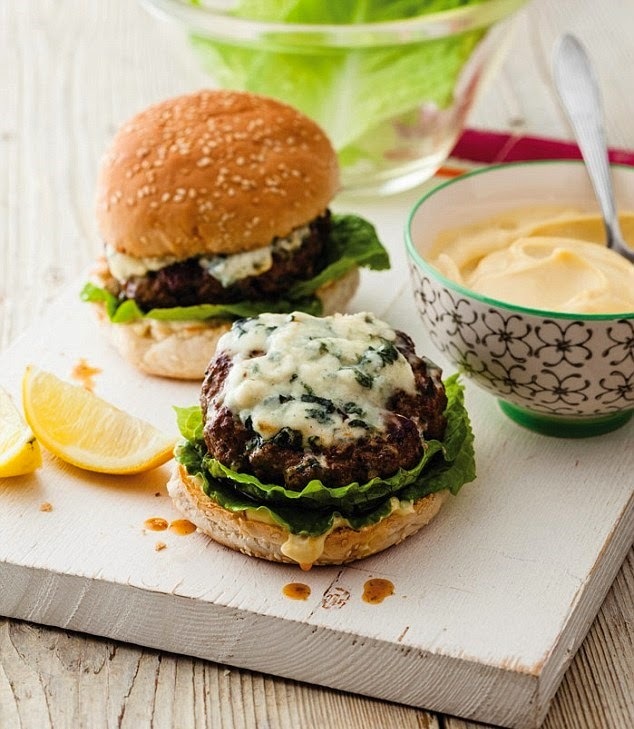 Top each burger with half the blue cheese and cook for 1 minute, or until the burgers are cooked through and wonderfully juicy and the cheese has just melted. While the burgers cook, put the mayonnaise in a mixing bowl and squeeze in the juice from the lemon. Add a pinch of salt and mix well. Split the burger buns in half and spread the mayonnaise evenly over the base of half of each. Divide the lettuce leaves over the mayo’d buns. Add the cooked burgers, put the top of the buns on the burgers and tuck in straight away.